All Circle of Light® Reiki Classes are Taught by a Canadian Reiki Association Registered Teachers. Reiki is a safe effective energy modality that is beneficial to everyone. No experience is necessary. Anyone can learn Reiki. It is helpful to everything from headaches, to back pain to stress, depression, insomnia, bee stings and even more serious conditions. Reiki energy re-balances the energy field that exists around our bodies. When this energy field is clear of blockages and flows naturally, balanced optimal health is achieved. Learning Reiki does not mean you need to become a Reiki practitioner. Many people find Reiki complements the therapies they already offer, or just helps bring balance and peace into their own life so they are better able to be of service to others, without becoming burnt out. Reiki is a Gift you Give to Yourself. Where you take it~ or where it takes you~ is as individual as you are. Class is a combination of history, theory and hands on experience. Lots of Practice Time and Much More! Snacks, Beverages..you just need to bring yourself! Class size will be limited to 14 people. This class is recognized by the Ontario College of Massage Therapists and counts as 5 CEU's for RMT's. We have Reiki Shares (reiki practice nights for students)once a month in Waterdown to give and receive a reiki treatment, gain valuable practice, meet like minded individuals and just have fun. You will be able to attend these or any other reiki shares to gain experience after being attuned to level 1. Feel free to contact us with any questions. Classes sometimes fill up quickly, that is why pre-registration and a $100 deposit is required to hold your spot. Registering for class early also allows you to benefit from our Early registration special pricing. 1. Go to the Reiki Class Page & Click the Book Now button below the class you would like to register for. You will be prompted to enter your information to register and hold your spot. 2. To receive the Early Registration Discount, you must make a Deposit of $110 before the cutoff date. This can be done via paypal, in person at the centre or via credit card over the phone, or via etransfer to info@circle-of-light.ca. If you wish you may choose to pay for Class in Full at the time of registration, or you can pay the balance the morning of class. 3. You will receive an e-mail confirmation as well as an e-mail containing more information regarding the class closer to the date. Please feel free to e-mail or call 905-689-8100 with any questions you may have. Reiki Level 2 expands on knowledge learned in level 1. Level 2 teaches more advanced techniques and the symbols for emotional, and mental healing as well as distance healing. Because most physical illnesses begin in the mental and emotional field level 2 allows for a more complete healing. Also many people find the symbols help heal karmic patterns, past life traumas and deeply rooted issues. Many people find after Reiki level 2 their intuition becomes more pronounced and they feel more connected to their source. Reiki Level 2 is fabulous in helping people deal with stress, depression, anxiety, and fears or phobias. Most practitioners working in a professional setting have level 2 or higher. If you have completed Level 1 Usui Reiki with another teacher, you are still able to attend our Level 2 Usui Reiki Class. You need to make sure you have Received your Level 1 Class training in person, and received an attunement and manual. Please review your notes prior to class and bring a photo copy of your level 1 certificate for my records. We will break for lunch. You are welcome to go to one of the many restaurants in the area or bring your lunch. Class size is limited to 14 people. 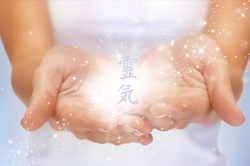 We have Reiki Shares (reiki practice nights for students) once a month in Waterdown to give and receive a reiki treatment, gain valuable practice, meet like minded individuals and just have fun. You will be able to attend these or any other reiki shares to gain experience after being attuned to level 1. Feel free to Contact Us with any questions. Classes sometimes fill up quickly, that is why pre-registration and a $110 deposit is required to hold your spot. Registering for class early also allows you to benefit from our Early registration special pricing. Reiki has had a dramatic impact on my life. It has made me a better person to myself and to others. When I explain Reiki, I explain it as though you are giving unconditional love to someone and THAT is the best gift of all! I have really grown as a person and I am so much happier and I am so much more positive. It has given me clear thoughts and I now have a clear path to the things that I want for myself and my familyand friends as well as to mankind. I now know that it only takes 1 time to make someone feel good but it carries on to 1000 more people. I feel so much more energetic and I really do try to find the best in everybody and I want to give to people and make everyone feel special. Reiki, when giving a treatment to someone is an amazing process and when it works it makes you really believe in a higher power and it is such a honor to share between people. Thank you. Reiki has reawakened the divine in me. When I was young, life was magical and Reiki has brought that sense of magic and wonder back into my life. It makes me absolutely giddy with joy. Reiki not only impacted my life, but it has impacted the lives of those around me. Learning reiki and my spiritual awakening seemed to go hand in hand. I now live a fuller, richer life. I know that there is more out there than the eye can see. Reiki opened up my intuitive side and I now get paid to do spiritual and tarot card readings! I believe that I am shedding a lot of my former self which was based mainly from a social standpoint in order to be accepted and now allowing my true or spiritual self to emerge and be the dominant personality. This process has forced me to take another look inside and with great joy, discover who I really or always was. It is like a re-birth without having to learn how to tie your shoe laces all over again. Is it worthwhile to take a Reiki course? Only if you want your life to improve. Thanks to Kerri a true master teacher of life and all the others I have met as a result. I practice Reiki mainly for self-healing and maintaining personal balance. I have found that it has opened my doors to a heightened sense of intuition and has improved my abilites to help my clients. I will often send Reiki ahead for the day or for people so that blessings are felt by many. Provided that I have the client's permission, I will also use Reiki in my counselling sessions to accelerate the healing process. I love it! I'm always amazed at that results from a treatment. Kerri is truly gifted as a spiritual healer and teacher. I have found Reiki to be a great healing tool for taking care of a variety of aches and pains, as well as for clearing any emotional blockages. Kerri Fargo B.A. RT-CRA is a certified 5th generation Reiki Master Teacher in Usui, Gendai, Komyo, Karuna, Kundalini® and Lightarian Reiki. She is a Registered Teacher with the Canadian Reiki Association and follows their ethics in practice and guidelines for teaching. As a mother of 3, she has had many years of experiencing the joy of Reiki with children. Kerri is also an IET® Master-Instructor, Certified Holistic Healer, Professional Channel, Intuitive, Medium, Axiatonal Re-Alignment Practitioner and Teacher, and Tibetan Yoga Instructor. Trained in many healing modalities, including Past Life Regression, Akashic Records and the Shamanic Traditions of both North and South America, she offers a Whole approach to healing. She is also an empath that works intuitively often receiving insight into the emotional cause of the illness or imbalance. Using the abilities of clairvoyance, clairsentience and clairaudience, she often receives messages from angels, guides and spirits of loved ones who have crossed over. She has dedicated her life to helping others find their own unique path in this life, and to walk it with compassion and joy.